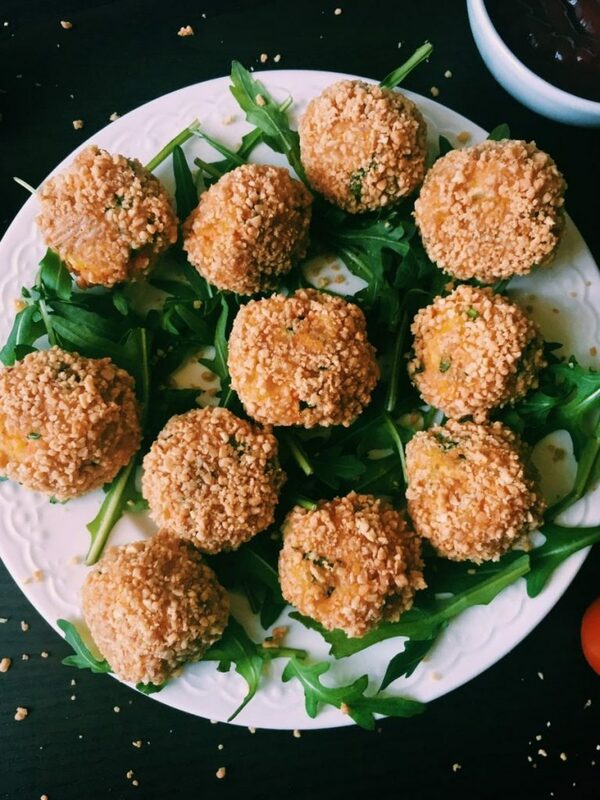 Vegetable balls that will work perfectly on every party. Vegetables are exceptionally easy to make so you do not have to work much with this one. These vegetable balls should appease to everyone not just to vegetarians. Ingredients You need to make vegetable balls. 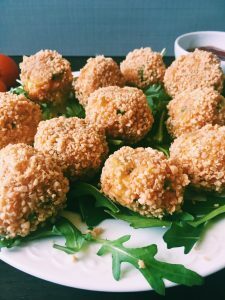 How to make carrot and potato balls. Grate the carrot and the potato on a large mesh grater. Combine the grated vegetables with salt, melted butter and finely chopped spring onion in a bowl. Beat an egg with a fork. Add half of it to the vegetable mix. Gently fold everything together with the fork. Form three-centimeters-large balls. Roll them in the remaining half of the egg and cover in grind peanuts afterwards. Place the prepared vegetable balls in a baking tray. Bake for 25 minutes on 170 Celsius degrees. Serve with ketchup. What You need to know when making balls with carrot and potato. Carrots and potatoes should be cooked but they should still have a tough consistency. When you push the fork in them they should not fall apart. I will probably add 2 tablespoons of cornflour /maizena to bind as am vegetarian and don’t use eggs. Sounds like a lovely snack. Thanks for sharing.